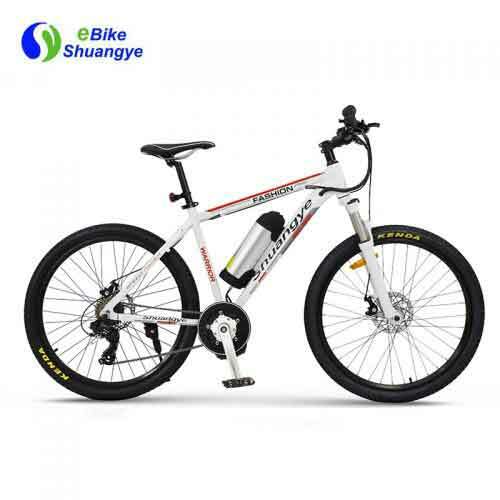 With the battery hidden the Bullshark looks like a regular bicycle! 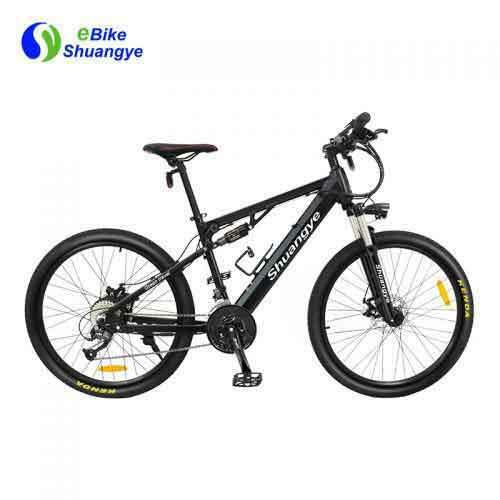 Shimano 21 Speed Gear set, Front Suspension Forks, LCD Screen Controls will give you the comfort and performace you need. 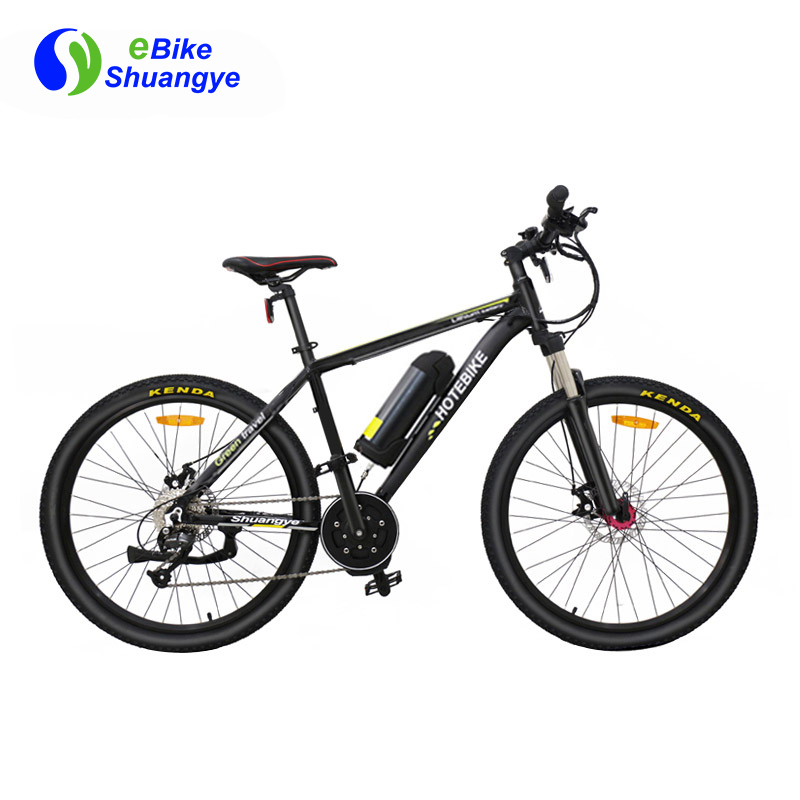 Hot sell middle drive motor electric mountain bike. Battery hidden in the frame looks more fashionable. It is a electric bike but looks like the normal one. With middle drive motor, it looks more normal. 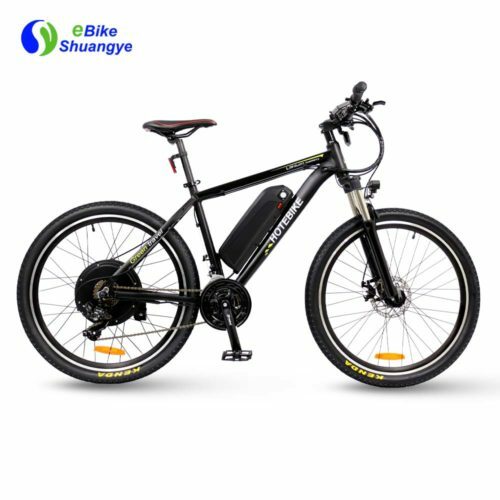 40-80km range after each full charging and Shimano 21 gears can take you over the mountain or freely and smoothly riding in the city. 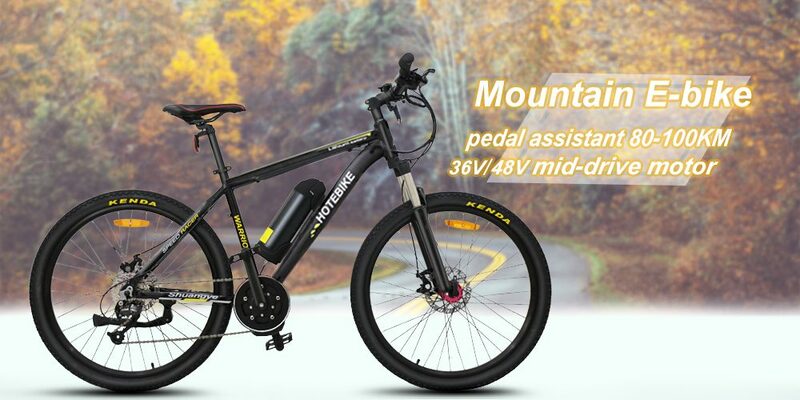 Comfortable saddle and suspension front fork make you feel riding in the city when you are riding on the mountain road.